"Hi Gaeton," the caller said. "Bill O'Reilly." The year was 1977. O'Reilly, a young television reporter in Dallas, was chasing a story about a figure in the investigation of the JFK assassination who had killed himself in Florida. He was calling Fonzi, a congressional investigator, to confirm the suicide. "You hear anything about it?" O'Reilly asked, according to phone recordings provided to CNN by Gaeton's widow, Marie Fonzi. The phone recordings indicate that O'Reilly learned of the suicide second-hand and was in a different location at the time. Years later, however, O'Reilly would repeatedly claim to have been at the scene. In his 2012 book "Killing Kennedy," O'Reilly wrote that he knocked on the door of a South Florida home when suddenly he "heard the shotgun blast that marked the suicide" of George de Mohrenschildt, a Russian immigrant who knew Lee Harvey Oswald. While promoting the book, O'Reilly said on Fox News that he "was about to knock on the door" when de Mohrenschildt "blew his brains out with a shotgun." The discrepancies were first reported by JFK researcher Jefferson Morley in 2013. His fact-checking didn't get much attention at the time, and the low-quality recordings he posted on his website made it difficult to understand what O'Reilly and Fonzi were saying. Earlier this week, amid scrutiny about how O'Reilly has recounted some of his journalistic exploits, the liberal watchdog group Media Matters for America drew new attention to Morley's fact-checking. CNN then obtained higher-quality recordings from Fonzi's widow. In the conversations with Fonzi that night in 1977, O'Reilly never once indicated he was anywhere near the scene of the suicide -- much less that he heard the fatal gunshot. On the call, O'Reilly initially tried to confirm the suicide. "What's the story?" O'Reilly asked. "They don't know," Fonzi said. O'Reilly can also be heard detailing his travel plans. Although he never said where he was calling from, O'Reilly made it clear where he was not. "I'm coming down there tomorrow," he said. "I'm coming to Florida." Moments later, he elaborated on his itinerary. "Now, okay, I'm gonna try to get a night flight out of here, if I can," O'Reilly told Fonzi. "But I might have to go tomorrow morning. Let me see." Fox News declined to comment on the contradiction in O'Reilly's accounts. The channel referred questions to a spokesperson for Henry Holt, the publisher of O'Reilly's book. Earlier this week the publisher said "we fully stand behind Bill O'Reilly." "This one passage is immaterial to the story being told by this terrific book and we have no plans to look into this matter," Henry Holt added. O'Reilly and Fonzi were apparently on friendly terms. 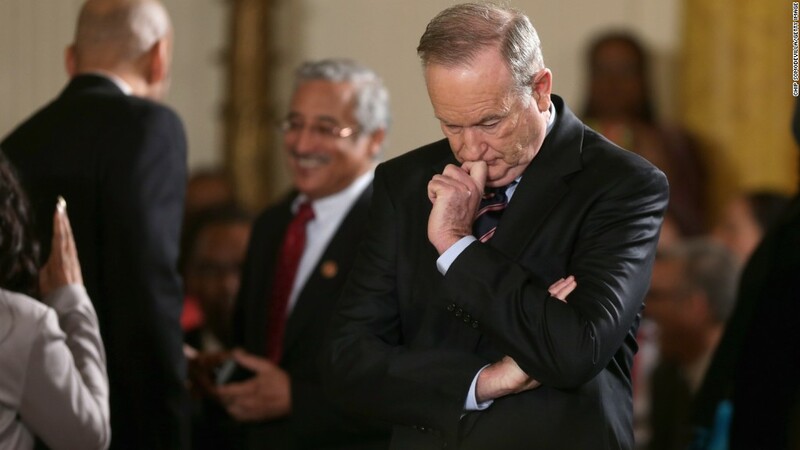 According to Marie Fonzi, her husband hired O'Reilly in the early 1970s to write for Miami Magazine, though she said her husband had no contact with O'Reilly in the years leading up to his death in 2012. In his 1993 memoir, "The Last Investigation," Gaeton Fonzi recalled those phone conversations on the night of the suicide and described O'Reilly as a "friend." Fonzi's name does not appear in the index of "Killing Kennedy." Because of that personal connection, Marie Fonzi said she felt conflicted before making the recordings public. "I always try to do what I think my husband would do, and I sometimes think he would tell me, 'Don't hurt Bill,'" she said. "But I also know my husband was committed to the truth."